Pacific Gas and Electric Company (PG&E) Residential Customer with a $1,000 Bill to a $16 average in 2018. PG&E’s Tiered Rate Plan (E-1). This rate plan has two pricing levels, known as “tiers,” which are based on how much energy you use. It also includes a High Usage Surcharge when your usage exceeds four times your Baseline Allowance, also known as Tier 1. The installation of a new Solar Renewable Energy System was completed in December 2106. This case study will provide data from the year 2018. The anticipated savings for this solar renewable energy system was estimated at approximately $8,562 in electric bills (97%) at current utility rates in the first year. Savings will grow as electric utility rates are expected to rise 4.00% a year. The purchase of electric energy (kWh) from Pacific Gas and Electric (PG&E) is expected to be reduced by 112%. Over 25 years, annual utility savings are anticipated to average $14,799, for a total utility savings of $369,965. Solar Electric (PV) System: 18.55 kW DC (18.086 kW AC, 16.626 kW CEC) producing 30,662 kWh/Year. Hedge Against Utility Inflation: The Solar Renewable Energy System protects against utility rate inflation. The Levelized Cost of Energy (LCOE) analysis provides us with a “hurdle rate”, which can be compared to the expected change in utility rates (by way of utility rate inflation). LCOE is the average lifetime cost of energy produced by a particular system. We can compare the LCOE to the current utility rate and its expected change in price as time goes on. In this manner one can judge the investment as a “better bet” than utility rates to contain energy costs. Represented below is the average cost of utility energy versus the cost of energy produced LCOE by the Solar Renewable Energy System over time. Sensitivity Analysis is a process of analyzing possible future events by considering alternative possible outcomes. The average change in utility rates (inflation) over the system life is perhaps the variable which may most affect the return on your investment. The following table summarizes how utility rate inflation may impact your investment. The project, as quoted, is compared to utility rate inflation that averages -5%, 0% and +5% over the system life. A Measure of Security: Cashflow Payback: 5 years – 5 years (modified). The most common measure of the security of a proposed investment is its payback, defined as the length of time until one gets one`s money back. Cashflow Payback is when cumulative cash flow stays positive for good. Modified Cashflow Payback is when the cumulative cash in-flows exceed the total of all cash out-flows over the system life; future maintenance expenses are accommodated. Profitability Index: 3.9. What PI Means: Generally, if PI > 1 then accept the project. If PI < 1 then “qualitative” factors may justify the project. Profitability Index (PI) is a measure of investment efficiency. It identifies the relationship of investment to its return. Profitability Index (PI) is calculated as: (Net-Present Value of the Returns plus the Initial Investment) divided by the Initial Investment. For example: $48,693 is invested and the NPV of the returns is $140,404, then the PI = ($48,693 + $140,404)/$48,693 = 3.9, or more generically, for every $1 invested you received $3.9 in return. Net Present Value (NPV): $140,404. What NPV Means: NPV is an indicator of how much value (wealth) an investment adds to the customer. If NPV is positive then the investment would add value. If NPV is zero or negative then other “qualitative” factors may be of adequate value to justify the project (for example, lengthening a swimming pool season). Net Present Value (NPV) is one way to account for the time value of money. NPV calculates the current value of each future cash flow. For example, $1.00 received two years from now is equivalent to something less today, if it can be invested now at some interest rate. This allows us to “discount” the cash flows (whether positive or negative) that the proposed investment is expected to generate at various times in the future back to their equivalent value today (that is, their “present value”). If one then subtracts the cost of the proposed investment from the sum of the present values of the ongoing cash inflows, one obtains the net present value (NPV) of the investment. Internal Rate of Return (IRR): 22%. Internal Rate of Return (IRR) is a common measure of investment efficiency. Equivalent to the yield to maturity of a bond. The internal rate of return (IRR) is the annualized effective compounded rate of return earned on the invested capital. Solar Electric (PV): $0.11 per kWh. Another dimension of concern about a proposed investment is the predictability of its anticipated costs and returns, which requires measures of the uncertainty associated with them. Levelized Energy Cost (LEC) analysis provides us with a “hurdle rate” (the levelized energy cost). LEC is the average lifetime cost of energy produced by a particular system. We can compare LEC to the current utility rate and its expected change in price as time goes on. In this manner one can judge the investment as a “better bet” than utility rates to contain energy costs. Property Value Appreciation: $178,100. Installing a renewable energy system can result in increased property valuation. The (few) papers on this topic assume that by decreasing utility bills (operating costs) the property owner’s cash flow can accommodate higher loan-to-value ratios. In other words, by reducing monthly expenses, a property owner can afford to take on more debt. According to one report by the Appraisal Journal a homes value cash flow can increase by $20,000 for every $1,000 reduction in annual operating costs due to energy efficiency improvements. This assumes a 5% cost of money ($20,000 x 5% interest = $1,000). The annual savings will not be the same every year. Utility inflation rates, assuming the renewable energy system is grid connected, will alter the annual savings over time – more savings with utility rate inflation, less if utility rate deflation occurs..
At some point in the system`s life, its value as a “saleable” asset will start to reduce to zero as the system comes to its end of life. Property valuations are based upon many variables (external factors), many of which are location-specific and/or contingent upon macro-economic and micro-economic factors such as interest rates, the economy, new developments, changing lifestyle and living patterns, etc. A property’s value can change by many percentage points as a result of these external factors and one needs to consider the amount of value a renewable energy system may add to a property vis-a-vis the overall property’s value. 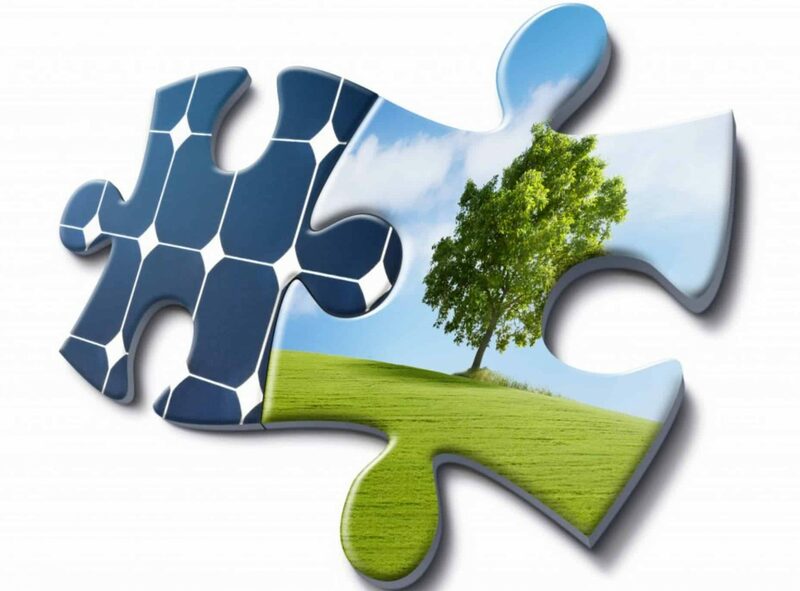 Renewable Energy and/or Carbon Credits or Certificate (REC or SREC): Renewable Energy Certificates (sometimes called “solar renewable energy credits/certificates” – SRECs, S-RECs, or simply RECs) are a new and evolving method to ascribe future financial value to a renewable energy system. RECs represent the bundle of legal rights to the “green” part of each unit of energy produced by a renewable energy system. This green part can be sold for a value, which generates additional revenue for the seller. These certificates can be sold and traded or bartered and the owner of the REC can claim to have purchased renewable energy. Time-Of-Use (TOU) electric rates change based upon when (the hour) electric energy (kWh) is purchased or credited (“sold”) to the utility. The graph below displays the energy (kWh) portion of your electric bill by TOU. Solar renewable energy system production will vary according to weather patterns, changes in obstacles that may shade the PV panels, and the like. Over time system production may also “degrade” due to general soiling and other effects of aging. The table below provides a range (+/- 20%) of typical annual production values for the system, by year, with an annual performance degradation of 0.50% included. The “Typical” values were used to provide this report.